A five-star luxury hotel in Sanya, Hainan province. International investors are keen to expand in the resort city. China’s southern Hainan province is a veritable paradise, with tourists flocking to its sunny shores and golden sands. However, a shadow was recently cast over this "paradise". The island and, in particular, its beach city Sanya, made headlines nationwide with the eruption of a tourist overcharging scandal during the Spring Festival holiday in January. Luo Di, who works for a Beijing-based real estate agency, wrote on China’s popular microblogging site Sina Weibo that his friend was charged 4,000 yuan ($635) for a simple three-course meal in Sanya. Sanya’s industry and commerce bureau also revealed that a seafood restaurant charged customers 9,764 yuan for a seven-course meal during the holiday. These revelations sparked a torrent of complaints from tourists who were angry at being overcharged on the island, with many of them vowing not to travel there any more. Potential investors, however, remain keen to cash in on the island’s booming economic activities. Luxury hotels, for example, are speeding up their expansion in Sanya, leading to concerns that a bubble is forming in the city’s tourism market. When it comes to high-end infrastructure, many are wondering whether the island has enough bays to accommodate the luxury hotel expansion wave, although they know that the industry’s big guns’ enthusiasm for Hainan remains undimmed. In a sign of this continued interest from the industry’s major players, Sol Kerzner, a South African business magnate operating one of the world’s most expensive hotels in Dubai, has made Sanya his first destination in China. Kerzner International Holdings Ltd, based in Dubai, whose flagship brand is Atlantis in the Bahamas and Dubai, has snapped up Tufu Bay in Sanya, virgin territory for tourism. Kerzner, founder and chairman of Kerzner International, said that he planned to open his first Chinese resort in early 2014. The planned resort will take up an area of 16 hectares and have a half-kilometer coastline. High-end hotel operators have long battled for a spot in Sanya, where developed beachside locations have fallen short of the increasing demand since the earliest high-end settlements appeared in 1996. There is no shortage of buyers. Almost every virgin territory in Sanya is snapped up as soon as the local government plans to develop it. 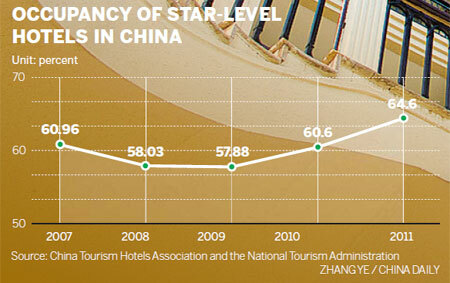 The city now boasts a greater density of high-end hotels than any other city in China, including Beijing and Shanghai. 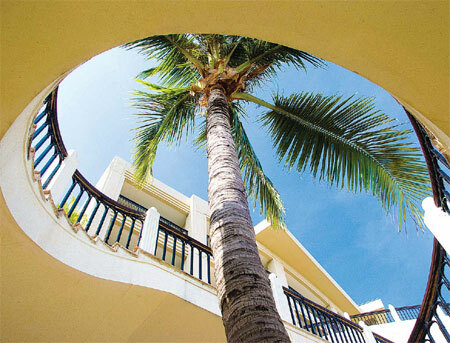 Sanya’s local government said there are 223 tourism hotels in the city, including 13 five-star hotels, 20 four-star hotels and 26 hotels that have been built to a five-star standard, but have yet to be graded. Almost every famous hotel brand has opened a hotel in Sanya, the crown jewel of Hainan, China’s international tourism island. Marriott International Inc opened its third hotel in Sanya last June and has two more in the pipeline. "We are growing an increasingly strong presence in Hainan," said Paul Foskey, chief development officer of Asia Marriott International. "Our existing hotels are performing exceedingly well." Marriott’s Ritz-Carlton Sanya located on Yalong Bay is the most successful Ritz-Carlton anywhere in the world, he added. St Regis Hotels and Resorts International Inc, the top high-end hotel brand operated by Starwood Hotels and Resorts Worldwide Inc, invested 2.5 billion yuan in its first Chinese resort in the last available area of coastline on Sanya’s crowded Yalong Bay in December 2011. Thanks to this pricey purchase St Regis Sanya became the only resort in the city of Sanya with a yachting marina. On the same day as the St Regis opened for business, MGM Resorts International also opened its first hotel in the Chinese mainland in Sanya. In recent years, five-star hotels have become the major players in the battle for beach resources. And as hotels and resorts in Sanya become increasingly luxurious, super five-star hotels have also joined the fray. The latest developed bays in Sanya will soon be locations for 24 hotels, and all available land there has already been snapped up. This is the reason Kerzner opted for Tufu Bay, in Lingshui county, a relatively remote destination from the urban area of Sanya. In the long-term, a greater variety of hotels enhances the appeal of a destination, increases the marketing channels directed at consumers and attracts more demand, said Hans Galland, senior vice-president of Jones Lang LaSalle Hotels, the hospitality industry division of Jones Lang LaSalle Inc, a Chicago-based real estate investment services company. Galland said that based on the company’s estimates, the number of rooms in international four- and five-star hotels in Sanya will increase by about 70 percent this year compared with the end of 2010. According to a plan published by Hainan province’s travel committee, 76.8 million person-trips are expected to be made to the island annually by 2020. 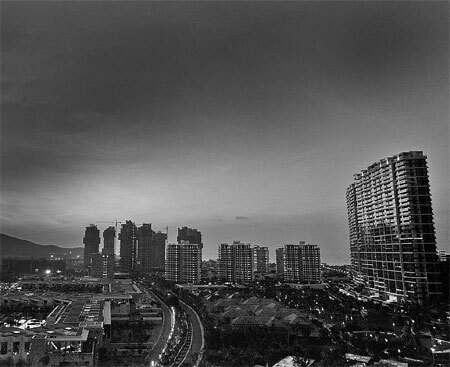 The skyline of Sanya, Hainan province. A total of 76.8 million person-trips are expected to be made annually to this island province by 2020. As more luxury hotels move in, some industry insiders have warned that Sanya’s hotel industry may be overheating due to the abundance of high-end hotels. "The presence of too many high-end hotels has pushed up the average price of hotel stays in Sanya," said Wang Jianmin, a researcher at the Tourism Research Center of the Chinese Academy of Social Sciences. During this year’s Spring Festival, a peak season for tourism, the average price of rooms in five-star hotels went up to 3,668 yuan per night, compared to 1,298 yuan one day before the festival. The week after the Spring Festival, in late January, the average occupancy rate of hotels in Sanya remained around 70 percent compared with 80.48 percent during the Spring Festival, according to tourism agencies. Each holiday season, the high price of hotel rooms in Sanya is a hot issue. Although the local government has set a price ceiling to cope with public criticism, the average price of hotel rooms keeps rising. Although they may seem unacceptable to the vast majority of people in China’s middle-income bracket, analysts said the soaring prices are normal because they reflect the real demand for quality hotels. "The supply of high-end hotels in Sanya is still not enough," said Galland. Only 9 percent of visitors to Sanya stayed in resort hotels during the Spring Festival, but these hotels were all booked out. Analysts said this showed the big gap between demand and supply for quality hotels in Sanya. If visitors cannot afford a resort hotel, they have to look for cheaper hotels or guest houses, which are nearer to the free public beaches in the city’s downtown area. But in these types of accommodation, which are often privately run, customer comfort often takes a back seat, and the only beaches their guests can access are the public ones where pollution is a serious issue. "The government has not designated Sanya as a high-end tourism destination, but actually only rich tourists can enjoy here," Wang Jianmin said. "The high price of hotels puts off some potential tourists." The good news is that the local authorities are already taking steps to address the situation. Available accommodation at guest houses and apartments in high-end communities increased by 18 percent in the past two years. During the Spring Festival, the average occupancy rate of Sanya’s hotels declined by 3.44 percentage points compared with last year, according to figures from the local government. Analysts said the presence of more budget hotels will not squeeze the revenues of high-end resorts, since they target a different group of consumers. Alan Leibman, chief executive officer of Kerzner International, said Chinese tourists are looking for better traveling experiences and this gives his company confidence in the long-term market prospects. Hainan also expects to welcome more foreign visitors, who only accounted for about 2.7 percent of the total visitors to the province in 2011. Leibman shares that optimism. He said he was encouraged by his recent trip to Moscow, where many top Russian tourism operators are showing great interest in Sanya. "Our customer group should be a combination of Chinese as well as international guests, who are followers of our hotel brands," he said.